Fifty years from now, our world looks very different. Governments have fallen. Thousands live in fortified strongholds; others roam the landscape as either predator or prey. Standing against the forces that have tipped the balance from good to evil are a very few heroes: men and women imbued with powerful magic and sworn to a high destiny. It’s been a little over a year since I read “Armageddon’s Children” the first novel in the “Genesis of Shannara” trilogy by Terry Brooks. I normally enjoy reading all the novels in a trilogy in one go, but at that time the library only had the first novel available. I was pleasantly surprised when, during my latest library excursion, I noticed “The Elves of Cintra” and “The Gypsy Morph” on the shelves and immediately grabbed them so I could finish the trilogy. They say time heals all wounds, but something else it’s very good at is making you forget what happened in the novels you have read previously. Unlike most novels in a series, “The Elves of Cintra” doesn’t include a handy summary of the events in the preceding book, so I struggled to pick up the storyline and I had only a vague recollection of the characters and events in the first novel. The story picks up where “Armageddon’s Children” ended and follows the Ghosts, a group of children, and Logan Tom , a knight of the Word, as they try to survive in a decimated world where demons and other horrible creatures roam. Like the title would indicate it also adds another group of characters to the mix – the elves of Cintra. These include Erisha, Kirisin, Simralin and Angel Perez, a human and also a knight of the Word, who joins the elves in their task to find the lost Elf stones in order to protect the Ellcrys, a magical tree that acts as a barrier against the Forbidding where the demons are locked away. The focus is largely on the Elves and their search for the Elf stones, but jumps between the two groups on their separate journeys that will ultimately lead them to the same destination. One interesting aspect is the flashbacks that most of the characters have of their past. This fleshes out the characters more and helps the reader understand their background a bit more. “The Elves of Cintra” is a dark fantasy novel. It depicts a cruel world where every day is a struggle for survival and even the heroes of the tale can’t magically snap their fingers to make everything right. They also have to struggle through each day and make some very difficult decisions. The characters are endearing and you quickly find yourself growing very attached to the members of the Ghosts. The Elves are somewhat less likeable, but I think that’s mainly due to them playing a much smaller role in the first novel so you don’t have that much history with them. The novel features some gripping battles that keep you wanting more. The ending is not a huge cliff-hanger like in the first novel, but it will still keep you wanting to find out what happens next. My major caveat is the names of some of the characters. Some of the names feel as if they were an afterthought cobbled together by finding interesting names in a telephone book. A brief recap of the events in the previous novel would also have gone a long way in refreshing my memory and I’m sure lots of other readers would have appreciated a recap too. In the end this is a captivating fantasy novel. It could almost pass as a YA novel with the major characters being teenagers. 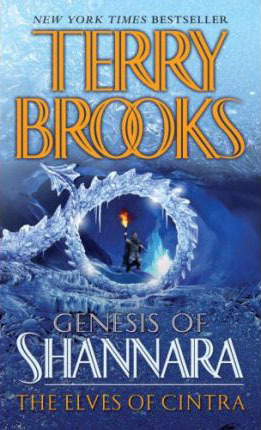 Some of the storyline seems clichéd, but in the end it’s the details and vivid picture of a devestated world that Terry Brooks paints that makes it a good read. Since I live in a small town our local library is also appropriately proportioned having a limited selection. Now if you are a voracious reader like I am it's very easy to exhaust their collection. I'm finding it more and more difficult to find something to read which I haven't already read and which falls somewhat within the genres I like. During my most recent visit to the library I had to resort to "random grabbing" after spending more than thirty minutes fruitlessly browsing (in a small library!) for something new. The cover of "Flesh and Bone" caught my eye and I took it home. Dr. Bill Brockton, the founder of the world-famous Body Farm, is hard at work on a troubling new case. A young man's battered body has been found in nearby Chattanooga, and it's up to the talented Dr. Brockton to assemble the pieces of the forensic puzzle. Brockton is brought into the case by the rising star of the state's mechanical examiners, Jess Carter. Just as they're on the verge of breaking the case open, events take a terrifying turn. Brockton has re-created the Chattanooga death scene at the Body Farm, but a killer tampers with it in a shocking way: placing another corpse at the setting, confusing authorities and putting Brockton's career and life in jeopardy. Soon Brockton himself is accused of the horrific new crime, and the once-beloved professor becomes an outcast. As the net around him tightens, Brockton must use all of his forensic skills to prove his own innocence . . . before he ends up behind bars with some of the very killers he's helped to convict. I must say I was very pleasantly surprised and learned quite a few things too. The author, Jefferson Bass, is actually a pseudonym for the writing team of Dr. Bill Bass and Jon Jefferson. Dr. Bass is a world-renowned forensic anthropologist, founded the University of Tennessee's Anthropology Research Facility, the Body Farm, where human decomposition is studied by letting donated cadavers decompose naturally under various conditions. Ever wondered how the folks on CSI (and for that matter the real police force) can get such accurate estimates of the time of death of victims? Well, it's all thanks to the extensive work done in the real world Body Farm where the various stages of human decomposition and the related insect infestations are carefully cataloged for comparison purposes. The intricate forensic knowledge of the author shines through in "Flesh and Bone" and makes for an interesting and compelling read. At times it can become somewhat gruesome but the realism just adds to the story. The characters are believable and later in the story you really feel empathy for the loss Dr Brockton suffers. The creationist subtext is excellently handled and gives voice to a real world debate without becoming preachy. I finished this novel in one go. You are kept guessing about the identity of the killer until the last moment and what an interesting (if somewhat predictable) twist it is! Highly recommended for any crime/forensic anthropology fans who are interested in how things really work. 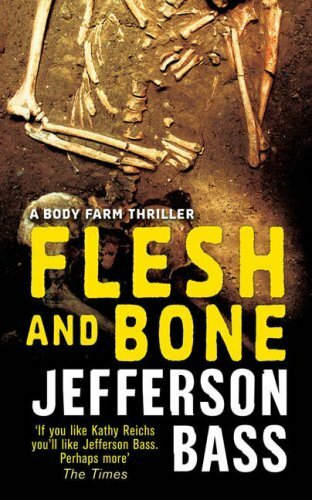 I will definitely be on the lookout for more of the Body Farm novels. I pre-ordered Surface Detail from The Book Depository at the end of August. Since it was a pre-order I had to wait till the release date of the book, but since The Book Depository discounts pre-orders it was well worth the wait. The book was dispatched on the 4th of October and I picked it up today from the Post Office. That's a turnaround time of just 7 working days! Excellent service as usual. The hardback version is simply gorgeous! It has an amazing fractal pattern affect on the front cover and inside pages which the photo simply can't do justice to. At $9.74 it was also an absolute steal. The only downside is that it will take me ages to round to reading it. At least until then I can keep staring at the stunning cover!